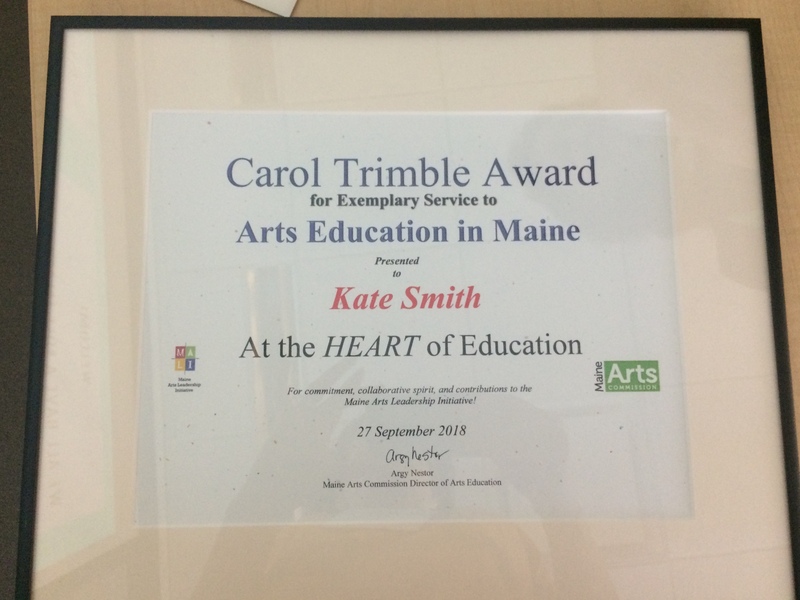 If you missed yesterday’s blog post I hope you’ll go back and read about Kate Smith and her recent honor receiving the Carol Trimble Award for her work with the Maine Arts Leadership Initiative. Below are some photos taken by Lindsay Pinchbeck at the very moment Kate was surprised! 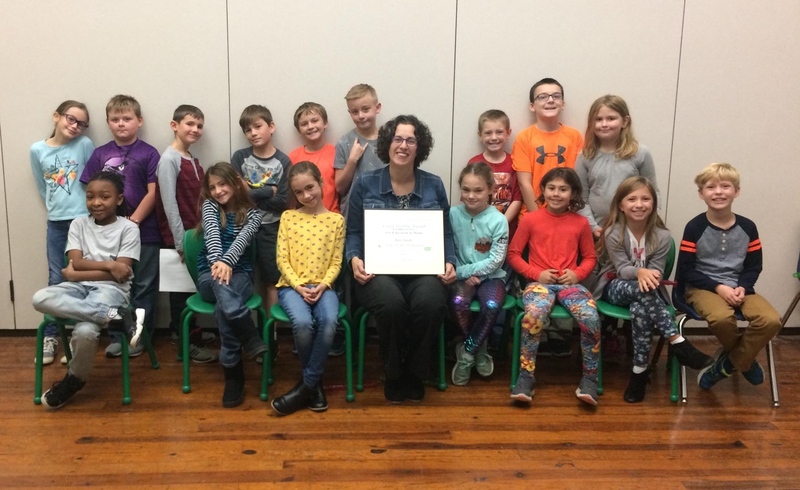 And a photo of Kate back at Central School with some of her third grade students and her certificate. On the screen behind is a photo of the Lanternfest that Kate works on with her community. Kate with one of her third grade classes with her Carol Trimble award. 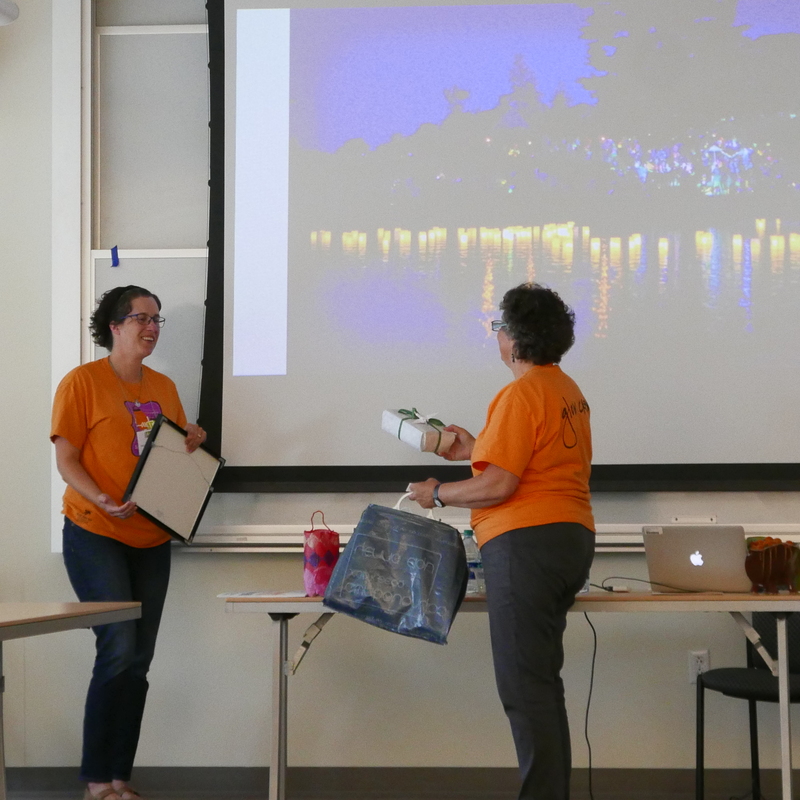 During the pre-MICA Arts Education conference at USM two weeks ago the Carol Trimble Award was presented to Kate Smith. 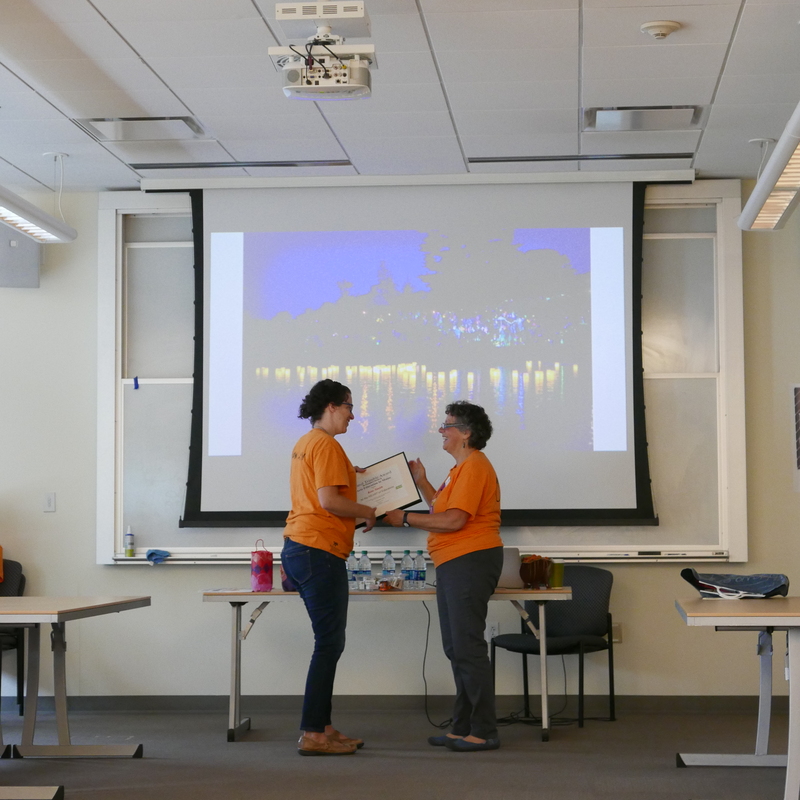 The award is presented to an educator who contributes exemplary service to the Maine Arts Assessment Initiative/Maine Arts Leadership Initiative (MALI) for their commitment, collaborative spirit and contributions. Carol Trimble was an amazing advocate for arts education. She retired as Executive Director from the Maine Alliance for Arts Education. 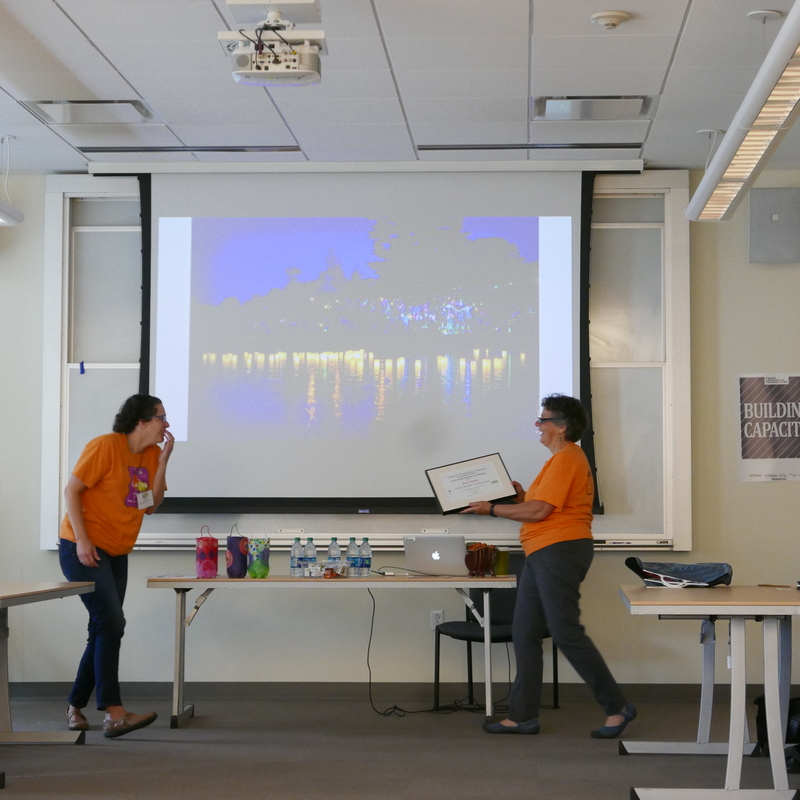 The award was established in 2013 to honor Carol and her work. Kate is an energetic music teacher currently teaching music to 430 preK-third grade students at Central Elementary School in South Berwick, Maine where she has been since 2003. Kate earned her music education degree from USM and a Master’s degree in Technology in Education from Lesley University. Kate was honored as 2014 York County Teacher of the Year for her passion for innovation and creativity. 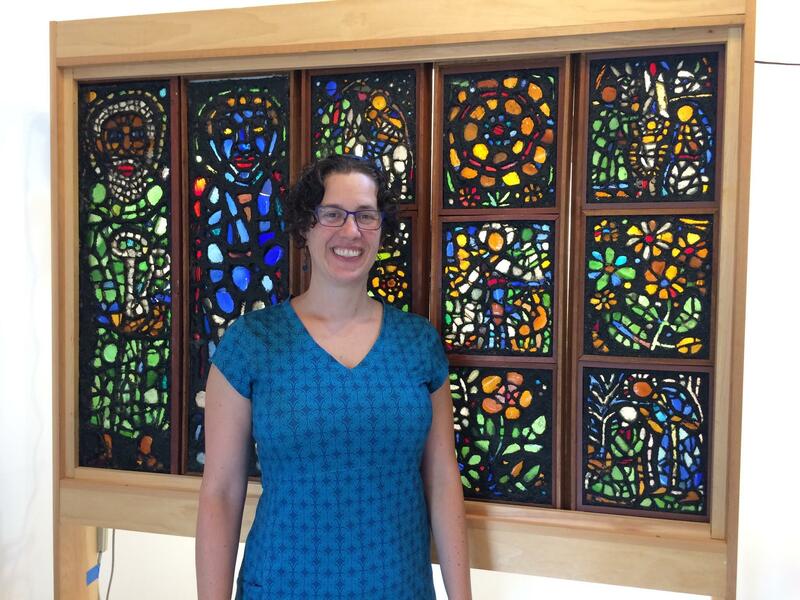 Kate serves as a teacher leader and design team member for the Maine Arts Leadership Initiative, the Parade Coordinator for South Berwick’s annual Lanternfest and a coordinator for Central School’s farm-to-table program. Kate lives in southern Maine with her amazing husband and three children. Kate is well respected in the education world, not only for music but for her work continuing work with the outdoor classroom at Central School. Kate is a remarkable grant writer and many learners of all ages have benefited in her school and community. She has presented many workshops on a variety of topics for conferences at the local, regional and state level. Her most recent was for the Pre-Maine International Conference on the Arts (MICA) leading the music/dance session and at the MICA facilitating a panel discussion with teaching artists and PK-12 arts teachers. “Logic Model Guru”. Her excitement of having the then US Secretary of Education Arne Duncan sit at our table at the summit was contagious. In 2015 Kate became a member of the team who guides the MALI work where she continually gives 100% with every task and responsibility. Kate has co-led the work with the MALI Teaching Artist Leaders introducing them to the many facets of teaching and learning. Her experience working with teaching artists in her school/community has enhanced learning opportunities for many. Kate is dependable, collaborative, honest, a life-long learner, has high expectations, fun to be around, and totally committed to whatever she takes on. I had the pleasure of traveling to Islesford with Kate at the end of the summer to meet and visit with Ashley Bryan. It was a remarkable and very special gift. Kate was so inspired that on her return she incorporated what she learned to pass on to her students and colleagues. Kate has the ability to process quickly and put ideas into action without hesitation. 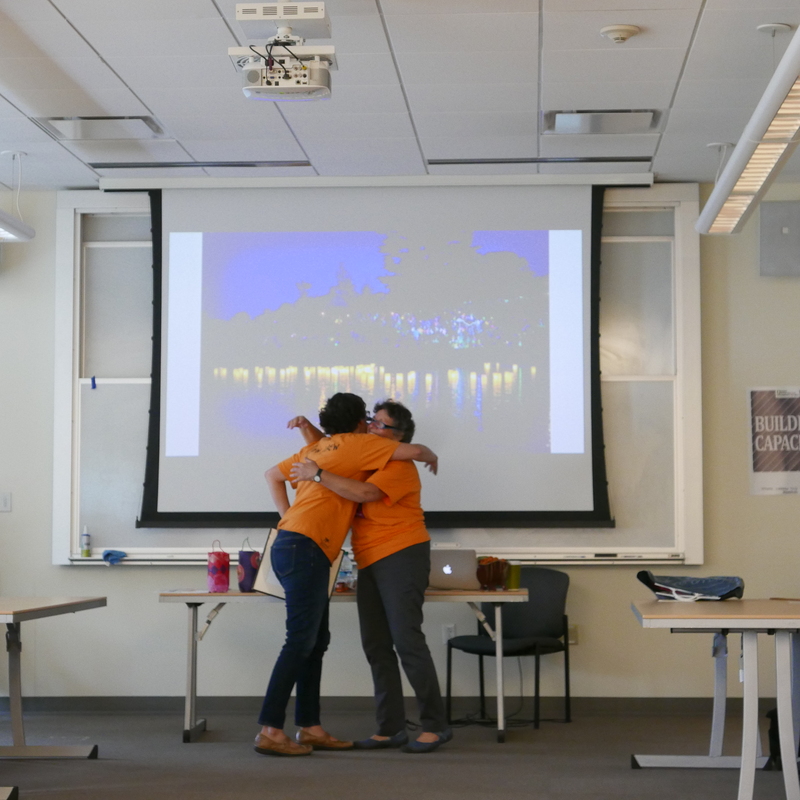 Catherine Ring, co-founder of MALI, Executive Director of the New England Institute for Teacher Education and Visual Art Educator, has worked closely with Kate and said the following about her: Kate is an inspirational leader for arts education. 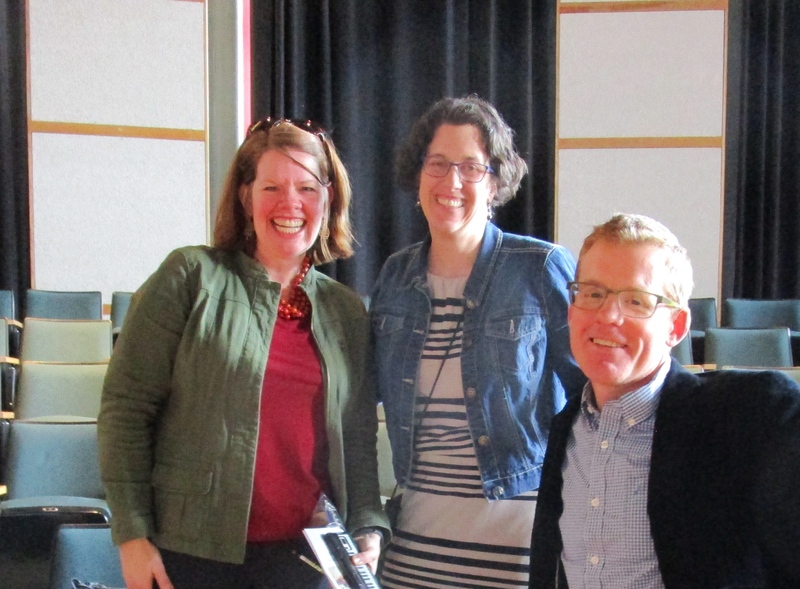 She is an intelligent and passionate advocate for the arts and it’s been a pleasure to work with her for the past 6 years at the Maine Arts Leadership Initiative. Kate took a moment out of her busy schedule to answer a couple of questions for the Maine Arts Education blog readers. What’s your favorite part about teaching? How do I narrow it down!?! When you see students not only master what you’ve taught them but then own their learning. Hearing students hum, sing, or whistle the songs I’ve taught them. The joy on my students’ faces when they are creating, performing, listening and responding to music. Hearing parents say how much they love hearing their children sing in the car, at the table, in the bathroom, or in bed when they are supposed to be asleep. Knowing the children are making precious memories by sharing their singing, playing and dancing with their parents (and grandparents!) makes my heart sing! What are you most proud of from your career as an educator? The relationships I have made. Someone once said, in order to raise yourself up you must surround yourself with people you aspire to follow. I have been able to learn from incredible educators from across the state and region through the Maine Arts Leadership Initiative, the Maine Teacher of the Year Association, USM, Lesley University, the Marshwood School District and countless other networks. There have been people who challenge me, inspire me, stretch me, believe in me. They’ve saved me a place at the table, encouraged me to use my voice, to amplify my students’ voices and have taught me to expect more from our legislators and policy makers. 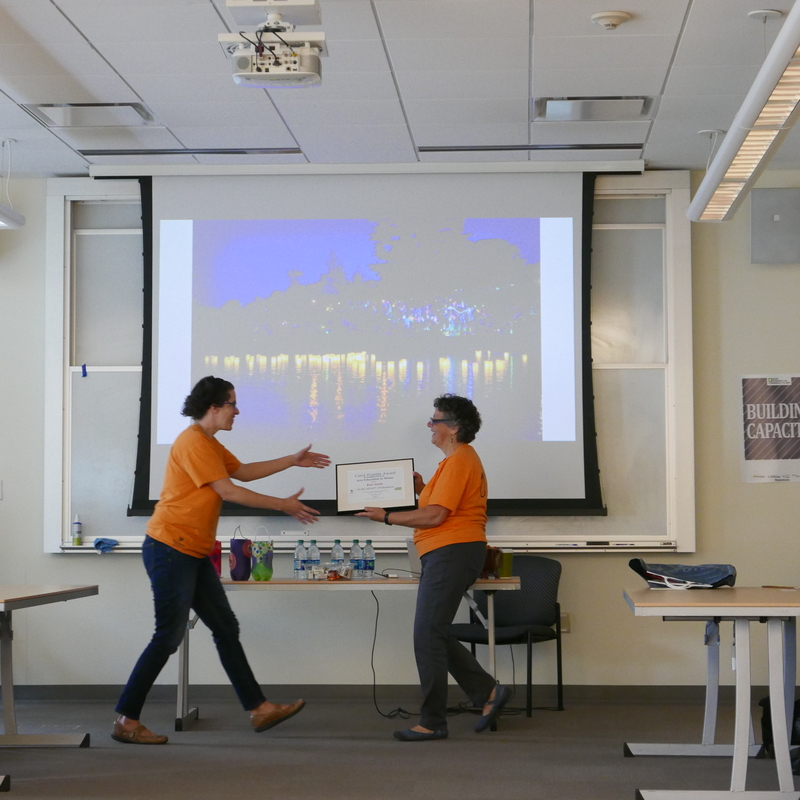 CONGRATULATIONS KATE SMITH – this years awardee for the Carol Trimble Award! Yesterday was full of excitement at USM. 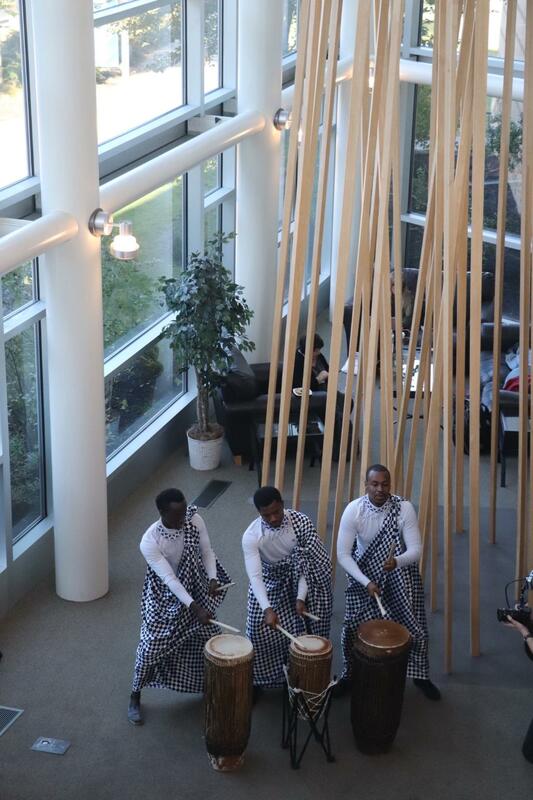 Three opportunities were under way as part of the Pre Maine International Conference on the Arts. 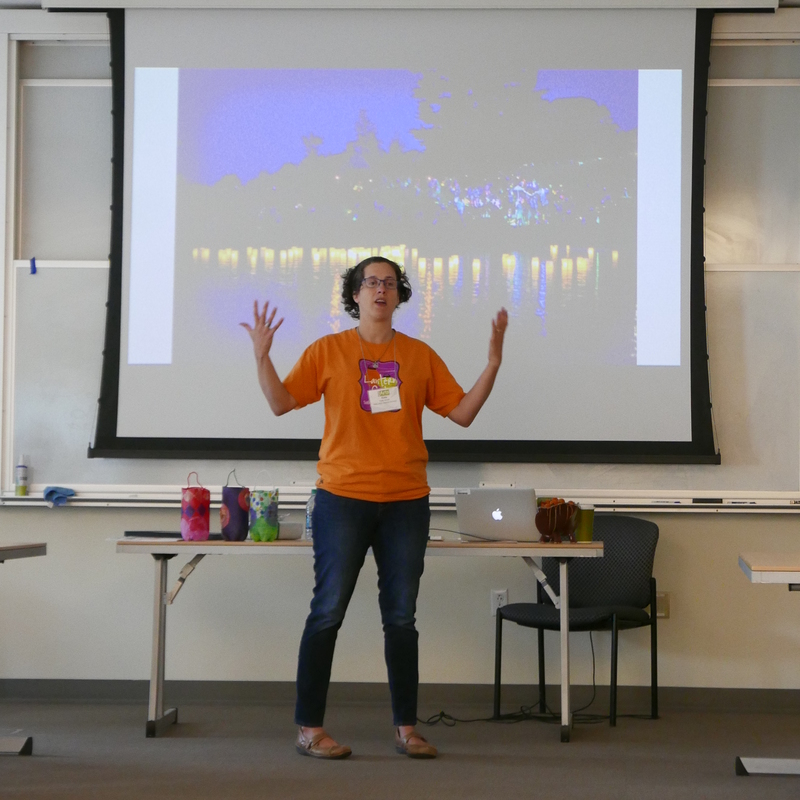 The 2018 Maine State Teacher of the Year, Kaitlin Young, provided an engaging keynote at the Arts Education Pre-Conference: At the HEART of Arts Education and seeds of inspiration. Participants created action steps for their work at the school and/or community level. The day started with art, dance, and music making. Lindsay Pinchbeck took the lead on creating lanterns used in ceremony’s around the world. Kate Smith led Jambo Rafiki, an African song with dance created by Nancy Salmon. 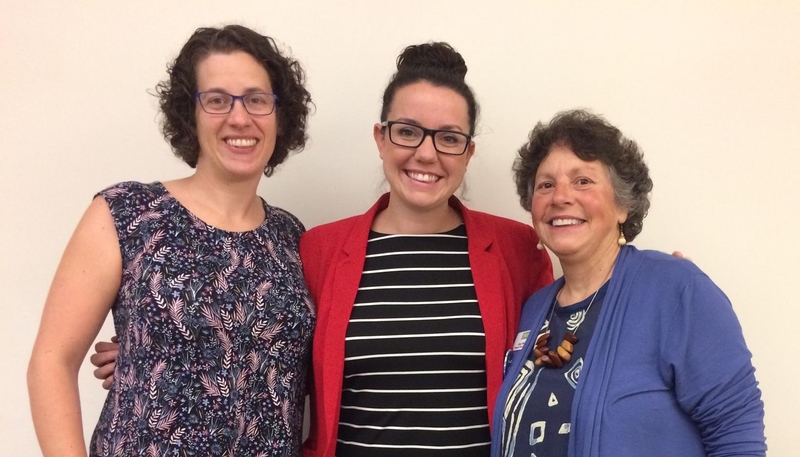 Kate Smith, Central School Music Educator (South Berwick), received the Carol Trimble Award for her contribution to the Maine Arts Leadership Initiative! Congratulations Kate! Others participated in the Rural Arts Development Pre-Conference. 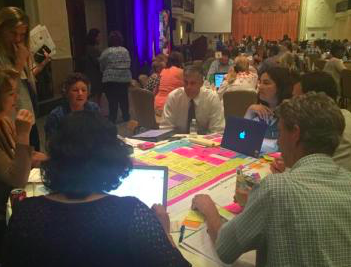 This Pre-Conference provided hands-on advice, models to emulate and a space to have conversations to address the unique needs of living in the most rural state in the nation. 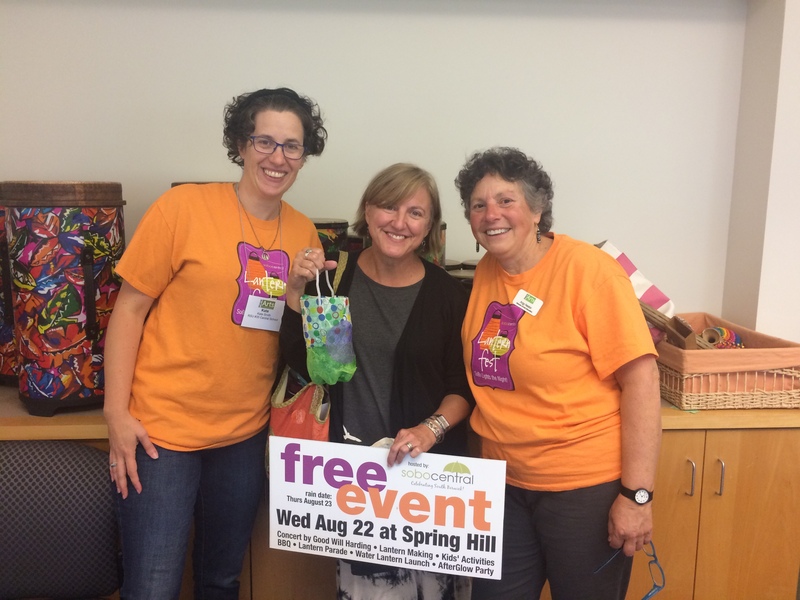 The day culminated with amazing performances and a Keynote Speaker Maryo Gard Ewell on Rural Community Development in and Through the Arts. 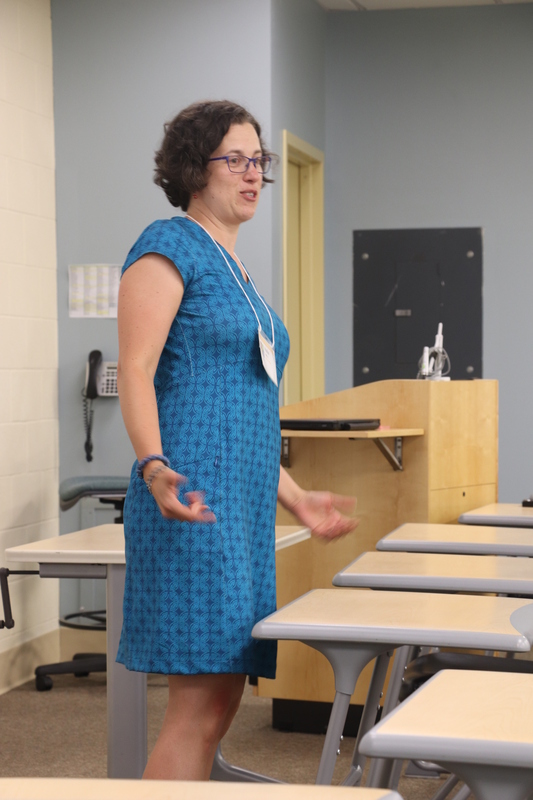 This is the third MICA – the first was held at the University of Maine, Orono, the second in Lewiston, 2016. We’re happy to be on the USM campus. MICA continues TODAY at USM, Portland campus, Abromson Center! If you have not registered it’s not too late, arrive at the Portland campus at 7:30 to register! 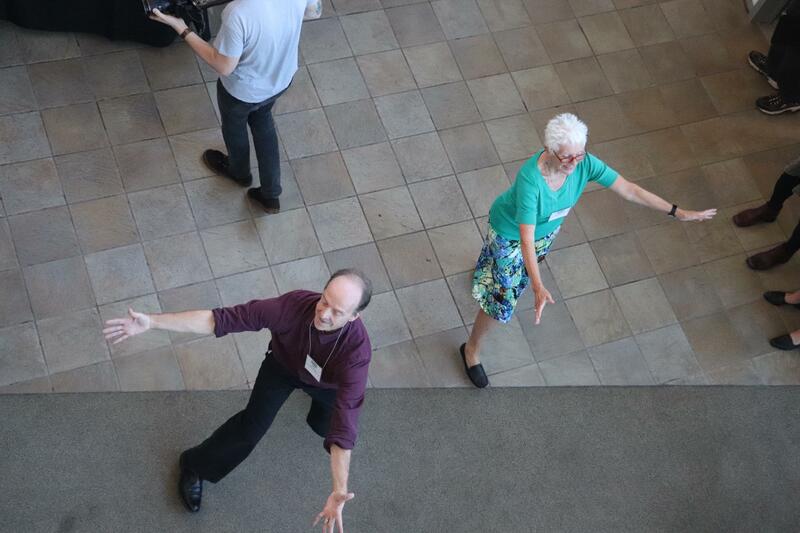 John Morris and Nancy Salmon dancing in the processional.